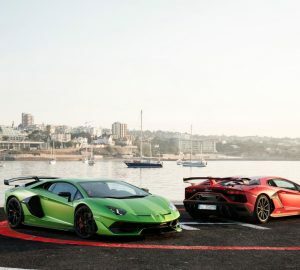 When it comes to driving experiences, very few can compete with the thrills and spills of pushing high-performance, luxury cars to their very limit. But there are other, more challenging tracks that will take even the smoothest drivers and vehicles way beyond their comfort zones. Such tracks are made of ice and snow, and are located in regions where temperatures drop to -20 degrees Celsius. This might not seem a suitable environment for the Jaguar F-Type SVR, a Porsche 911 Turbo S, or a Lamborghini Aventador LP 700-4. But come winter, these vehicles will be driven in such challenging conditions by automobile enthusiasts — even those with novice skills — through several ice driving academies. 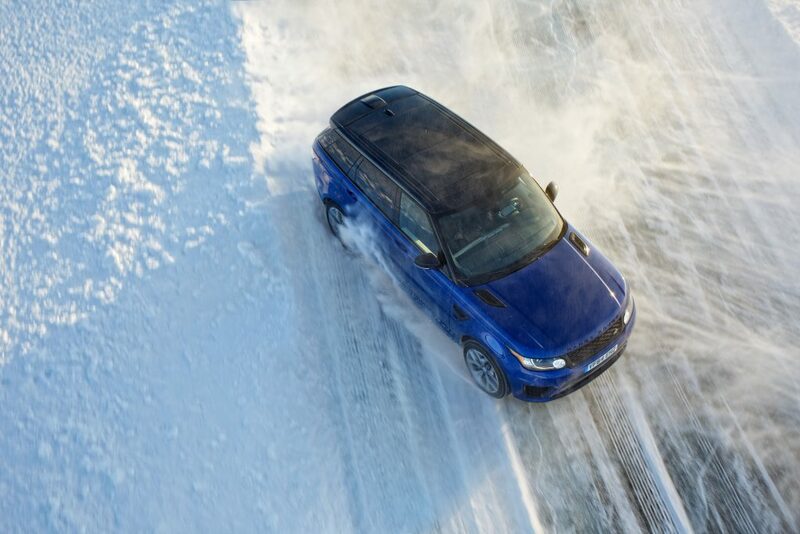 At the edge of the Arctic circle in Sweden, on specially prepared ice tracks, the Jaguar Land Rover Ice Academy pushes drivers to their limits with the help of expert instructors. Over three or four days, one will learn how to drift while maintaining a constant skid angle, power-slide on difficult circuits, and ride beside a pro on some hot-laps. 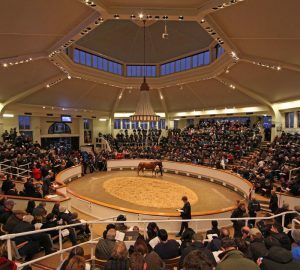 The vehicles used are the top and latest Jaguar and Land Rover models, including the Jaguar F-Type and F-Pace, as well as the Range Rover Sport and new Range Rover Velar. The academy is based in the town of Arvidsjaur in Lapland, a province in northernmost Sweden with many frozen lakes and vast pine forests. Land Rover also has 29 other ‘experience centres’ worldwide. 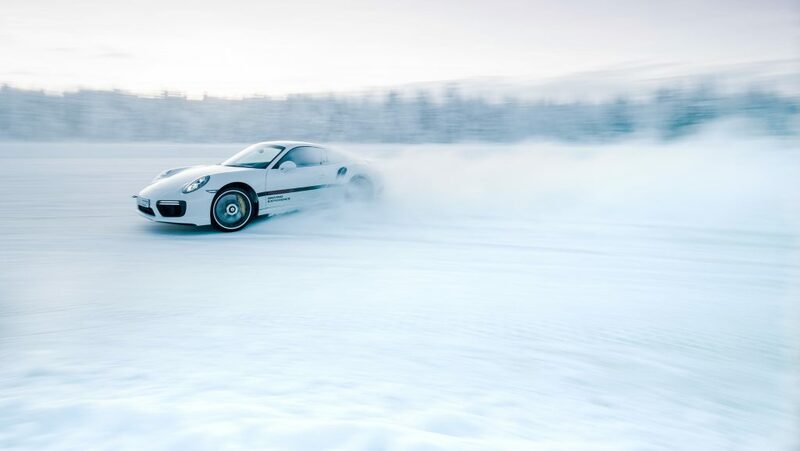 Across the Swedish border into Finland at Levi, in similarly slippery surfaces and at an altitude of 531 metres, the Porsche Driving Experience Winter takes place. Catja Wiedenmann, Head of the Porsche Driving Experience, says: “It’s about testing limits. We train the so-called muscle memory with these manoeuvres.” Under the guidance of trained instructors, participants work on disciplines such as proper braking, evasion, or controlled drifting on specially prepared handling courses. The latest Porsche models, including the 911 Turbo S and the 911 Carrera S, are used. In preparation for a drive, the Porsche Traction Management system is switched off, and the cars are fitted with spiked tyres up to 4 mm. Participants can choose various five-day packages to suit their skills, ranging from beginner to advanced, and even high-performance driving in extreme conditions. 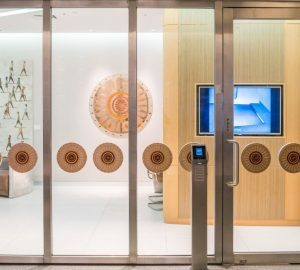 The Porsche Driving Experience can also be tested at St. Moritz in Switzerland, Livigno in Italy, Québec in Canada, and Yakeshi and Hailar in Inner Mongolia Province, China. 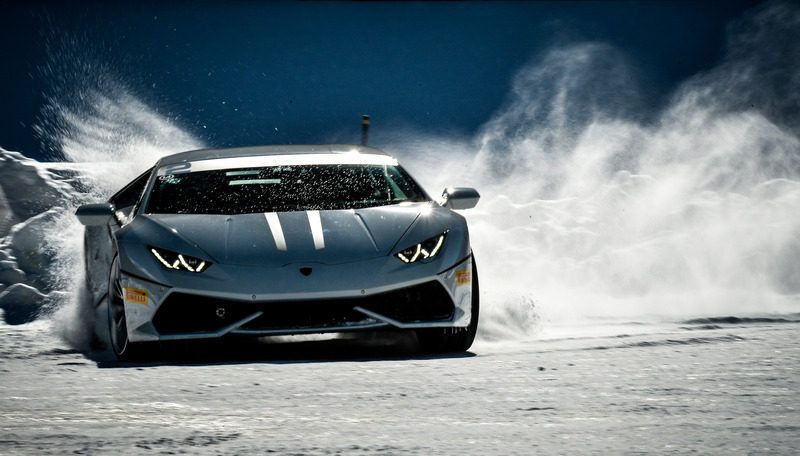 If these are too far north, one can try the Lamborghini Winter Accademia, which takes place each year in Livigno, Italy, and Aspen in Colorado, USA. Drivers can choose from two types of courses: Intensivo (one day), and Avanzato (two days). Each is designed to improve vehicle mastery and driver skills in low-grip conditions. 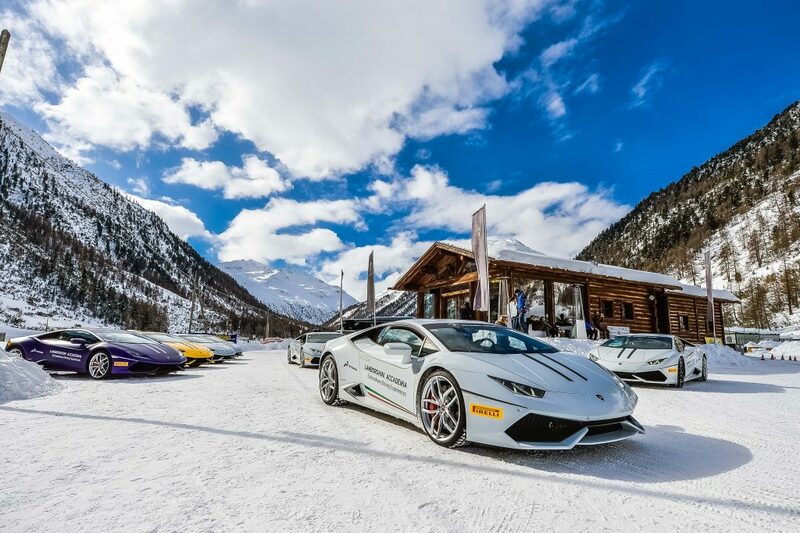 The new 2018 program, which takes place in February, includes a driving marathon, with participants driving both in the daytime and at night. Vehicles used will be the Huracán Performante, the Aventador S, and the whole Lamborghini 4WD Huracán model range. One can make a full vacation of it — each academy will, of course, host participants at a hotel, and provide meals and drinks. 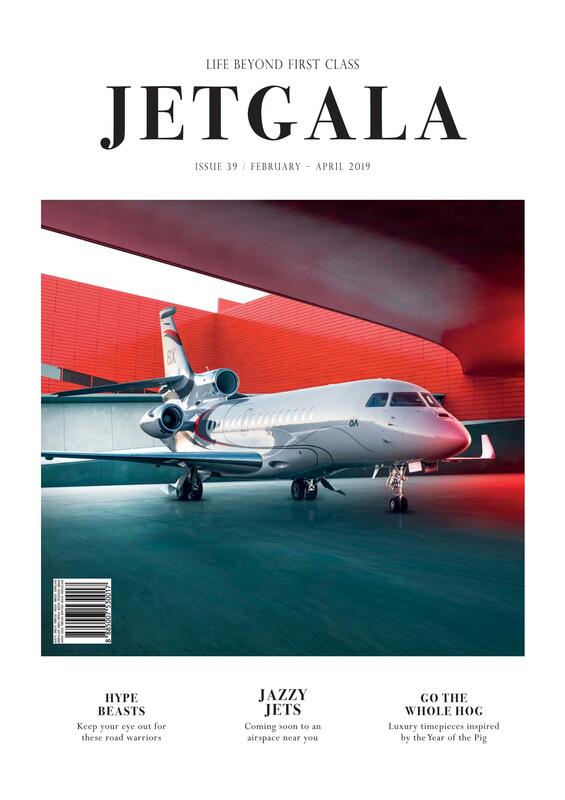 Jaguar offers local cuisine such as reindeer steak and moose burgers, a tour of the company’s secret winter testing facility, an off-road experience, a snow safari, and even a husky-sled tour. Porsche offers a snowmobile drive through the Lapland countryside, as well as an Arctic tour in a Porsche Cayenne with activities like king crab fishing on a frozen fjord. One might even get lucky and see the dancing lights of the Aurora Borealis. But with or without such scenic displays, every participant is assured of a rare and unforgettable driving experience.